VI.17.8 Pompeii. Shop. Excavated 1804. 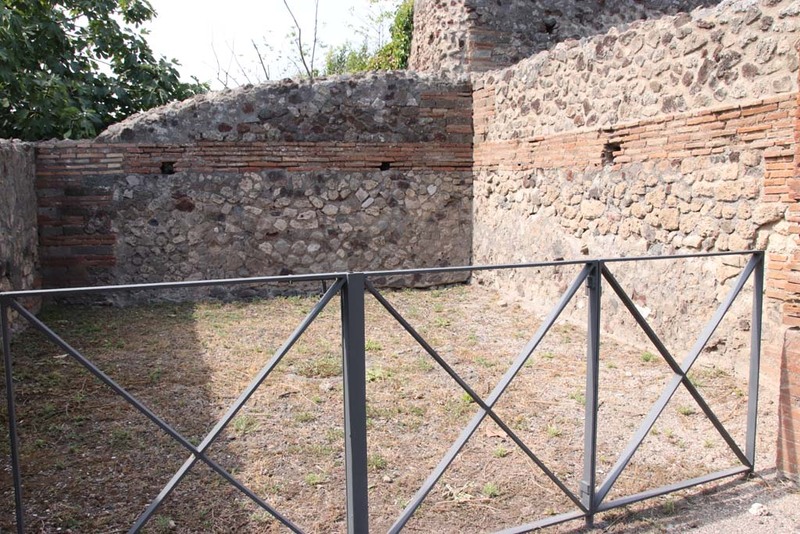 VI.17.9 on left, and VI.17.8 on right, Pompeii. May 2011. Looking towards entrance doorways on Via Consolare. Photo courtesy of Michael Binns. VI.17.8 Pompeii. May 2011. Looking west to entrance doorway. Photo courtesy of Michael Binns. VI.17.8 Pompeii. May 2005. Looking west to entrance doorway. 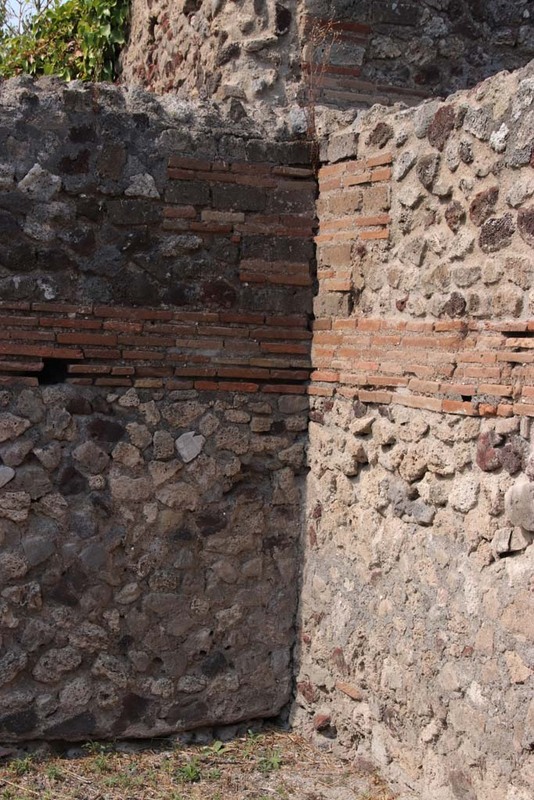 VI.17.9 Pompeii, blocked and VI.17.8, Pompeii. December 2005. Entrance doorway with iron gate. According to Eschebach, this shop was bombed in 1943. It may have been damaged when a bomb fell on VI.17.9 and destroyed the three dividing walls on the north side of the atrium. According to Fiorelli, in the vicinity of the two shops at VI.17.8 and 7, were found various electoral recommendations. 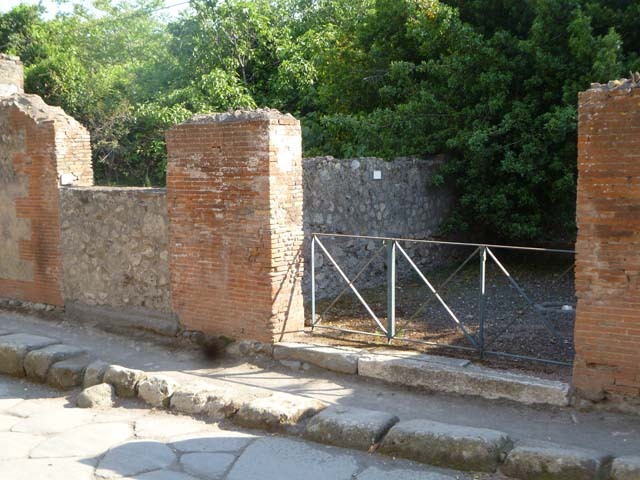 According to Varone and Stefani, CIL IV 117, was probably found between entrances 9-13. 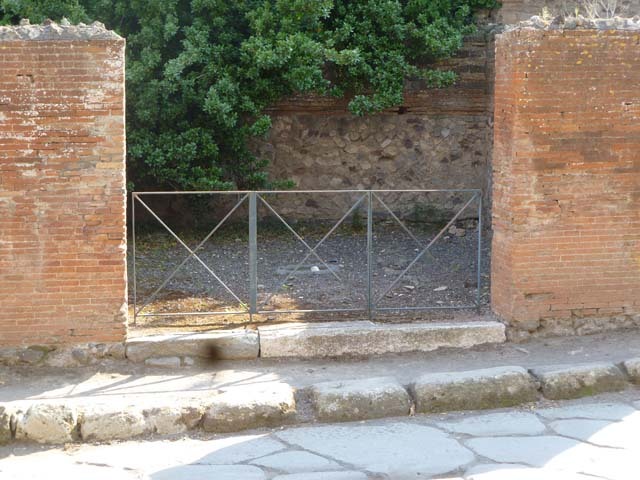 It was cut from the wall and taken to the Naples Museum, Inventory number 4722. CIL IV 118, 119, 120, 121, 122, 123, and 124. See Varone, A. and Stefani, G., 2009. Titulorum Pictorum Pompeianorum, Rome: L’erma di Bretschneider, (p.338-341). 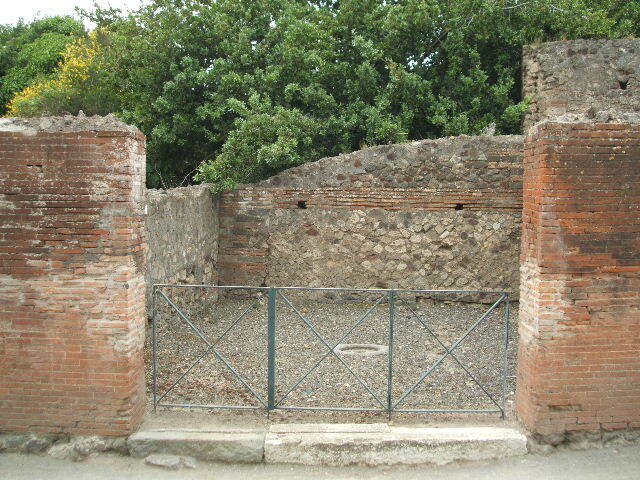 VI.17.8 Pompeii. Electoral inscriptions for CIL IV 123 and 124. Now in Naples Archaeological Museum. Inventory number 4673.